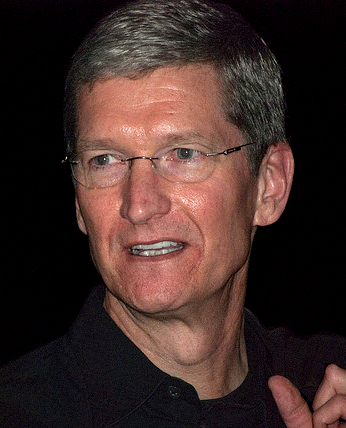 Tim Cook – time he was sent to jail? You can’t have missed the furore over Apple’s refusal to help the CIA get the data from a terrorist murderers iPhone. On the one side the CIA says that we need the data to protect the public, a line with the judiciary of the USA agrees with, and Apple should do everything possible to get it for them. On the other side there’s Apple’s PR engine trying (successfully) to spin the story and avoid complying with the court order. In the mean time the Brazilians haven’t shown such deference to a cultural icon when it comes to Facebook owned WhatsApp refusing to hand over data concerning a major drugs trafficker, even after several court orders. The Brazilian authorities have arrested Diego Dzodan, Facebook’s hancho in Latin America, and thrown him in jail until such time as the company obeys the law. Perhaps he Americans could try that with Tim Cook – you break the law, you go to jail. Apple encrypts the data stored on the phone. You have to enter a password to unlock it. If you enter ten wrong passwords it will wipe the data from the phone. The CIA has asked Apple to modify this handset to disable the data wiping feature, so the CIA can then just keep throwing passwords at it until it unlocks. Clearly, this is going to have no physical effect on any other handset anywhere else in the world. So what’s Apple’s problem? If Apple helped the CIA break in to the handset, Apple can no longer claim that its handsets are invulnerable. Terrorists, fraudsters and anyone up to something will know that the authorities can get at Apple data even more easily than if it was stored on iCloud. Note well: the fact that Apple hasn’t produced the mod needed to do this (publicly), doesn’t mean that its not possible right now; and it may even be happening. But Apple wants to maintain the illusion that it can’t. Put another way, it’s easy enough to bypass the locks on a front door. You just need a large enough sledge hammer. Doubt this? Look at the footage of a police raid taking place – a few burly coppers with a battering ram and it’s open in seconds. Apple is selling locks and trying to pretend there’s no such thing as a sledgehammer. So why, might one ask, don’t the US authorities stop messing around and get the court order enforced? Are they really scared of Apple? What’s really worrying about this situation is that “civil liberties campaigners” and some corporate America is rushing to put out statements in Apple’s defence. In other words, big business reckons it’s above the law made by the people using a democratically elected government. I’ve just had a note to say that Apple has released a new version of its smartphone/tablet system that fixes the bluetooth bug in version 9.0 that prevented iZettle readers to connect using Bluetooth. So fanbois can now upgrade their fondleslabs without cutting of their revenue stream. On the Android front, teething problems with iZettle 3.0 software – the one that works with contactless – seem to have been fixed with version 3.0.1, although 3.0.2 also turned up a couple of days ago. Given some harsh testing with me, it was impossible to get version 3.0.1 confused by turning things on in the wrong order. However, some people have taken to the play store to say it’s still broken. It could be that its incompatible with their handsets (they don’t say which version of Android they’re using) – it could also be that it’s the cable connected version, which always seemed to be on the cusp of working reliably at the best of times. While they were at it, they’ve fixed a few oddities in the user interface, so you can now just put through a payment without having to add it to the cart first (one of the points I made in the original review). I’d be interested to hear details if anyone is still having trouble, and I may be able to help. The most incredible revelation has just appeared on the BBC News web site. Apparently Edward Snowdon has revealed in a Panorama interview that smartphones can be taken over by sending them an SMS. All the handset makers in the world would have to pre-install a wedge to intercept SMS traffic before the OS got to the hardware. Apple would have to be in on it; and there would have to be something hidden in the publicly available Android source code that no one had noticed. All the hardware used in smartphones would have the ability to intercept SMS and implement a hypervisor to manipulate the OS in way I can’t even comprehend (and with the chip maker’s collusion. None of the above strikes me as very likely, so if there is any truth in it, what could it be? The obvious answer is that GCHQ and the NSA have some dodgy Apps which, if you install them and give them permission, could do things on receipt of a SMS. Not such a big deal – criminals are doing this and I’d be surprised if governments weren’t in on that game too. He could also be referring to known exploits in some phone OSs that could be used to compromise its security. But the BBC quote is clear that this is something “new”, and applies to all, or at least the majority of smartphones. It does not say “some handsets”; the implication is clearly that all handsets can be pwned by the spooks whenever they want. I’ve kept the text of the original article, as I suspect they’ll be needing to change it! 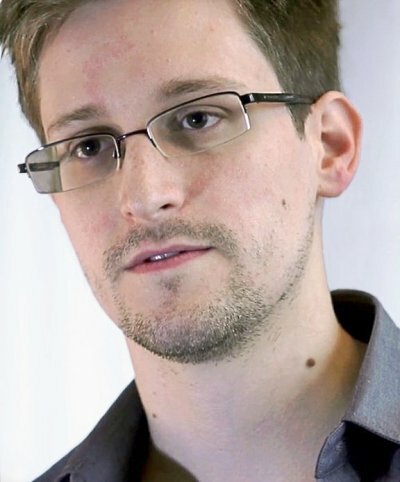 It could also be that Mr Snowden is being grossly mis-represented in a case of sloppy journalism, or in a deliberate attempt to hype the forthcoming Panorama program. The term “encrypted text message” rings an alarm bell here; no one who knew anything about the subject would have used the word “encrypted” to refer to a specially crafted or encoded message. Or it could be that the publicity-seeking Mr Snowdon has sold some credulous hacks a fairy story and they’ve lapped it up. The theory is that the smartphone market is saturated. In the US, an often quoted statistic is that 75% of Americans already have one. In the UK, research from Deloitte puts the figure at 72% a year ago, rising at about 15% a year. Selling something everyone already has is not a good place to be. Then there’s the inexorable rise of Android. Google launched the low cost, very capable and very affordable Android One phone in June. Never heard of it? Well it’s not available in the west – they’re going after the huge third world market, starting with India. There are a billion punters there, eager for the western tech. And the same with China, although they can make their own (as well as handsets for the rest of the world). Generic Chinese Android handsets are good. I have one. It takes two SIMs at once and works under water, at a fraction of the prices of a western branded unit. Manufactures like Huawei, ZTE and Foxconn own this space and will be hard to shift. Google doesn’t make money from Android, and I doubt that the Android One will contribute much to their balance sheet. But Google is a data capture company, and have Google-controlled smartphones out there is strategically very good. So, Apple must be doomed – a saturated market and cheaper smartphones that do it better. But that’s never been a problem Apple’s business model. Apple’s products are aspirational – they say, “Look at me – I’m wealthy enough to spend £100s every year for the latest iPhone and therefore I’m a good prospect when it comes to making babies.” The more they cost, the more people want them. Fanbois may protest, saying that they iPhones work better (not so) and look nicer. Sony sells nice looking kit too, but is forecasting a $1.2B loss from its Android smartphones. The same with HT; it’s just breaking even on declining sales. Samsung is making a good profit ($6B), but there’s a suspicion this has been generated on a huge marketing spend. Apple doesn’t need to spend too much on marketing. It just has to look cool and remain aspirational. According to Juniper, shipments of smartphones will be close to 1.2B units this year (with 985M shipped in 2013). That’s a high volume, but if it’s the Android One and low cost units going to emerging markets (those not yet saturated), the bulk of that will be making meagre profit. Apple, on the other hand, makes a very nice margin, thanks. Fanbois will happily hand over $100s simply to have one with a larger flash memory; several thousand percent more than the memory itself costs elsewhere. They’ll accept that the limited-life battery is ;sealed inside and will die, taking the iPhone with it in a couple of years. They’ll accept that there’s no memory card slot as an alternative to buying the ridiculously expensive internally upgraded models. They’ll even put up with the poor telephone performance; after all the screen looks very nice (don’t tell them that Samsung beat them too it). As I write this, Tim Cook is demonstrating the iPhone 5. So far it looks just as bad as the iPhone 4S, but 20% lighter and thinner. Oh yes, it has a new Apple A6 CPU this time around, which is apparently faster and less power-hungry, but it still eats batteries at an alarming rate. Apple claims the battery will last 8 hours in 3G or WiFi mode. The Apple A series processors are, of course, ARM cores to Apple’s specification manufactured by Samsung. I haven’t heard anything about that changing. Apple’s iOS is a right mess. It’s built on left-overs from the NeXT, it’s a pain to develop in (who needs another Object-based version of C when we’ve had C++ for ages, and the system libraries are awkward, to say the least). I wouldn’t say Android is brilliant, but it’s got an excuse. This is supposed to be a premium product, yet the software engineering has lost the plot. You can’t change the battery. This is shameful. Batteries have a limited life, and by fixing the battery in, Apple is limiting the life of the ‘phone, so you’ll need to buy another one each year. You can’t even carry a spare battery with you to help out when it goes flat. You can’t upgrade the memory. The basic model is 16Gb, with 32Gb costing $100 more and the 64Gb $100 more than that. Flash memory is cheap and plentiful, and Apple is trying it on. Buy a Smartphone with a memory card slot. The iPhone 4S was a terrible ‘phone. The sound quality was awful. You could always tell when someone was using one. It remains to be seen whether the iPhone 5 is any better, but given Apple could release such a terrible ‘phone last time, why should anyone give them a second chance? This is definitely another item for the fanbois; those with an interest in conspicuous consumption. Anyone else needing a Smartphone should look elsewhere.